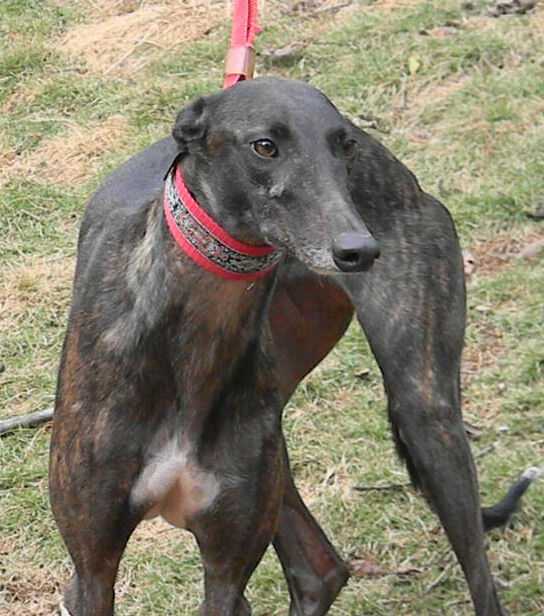 Mastercard is a sleek, long-legged gal with lovely very dark brindle coloring. 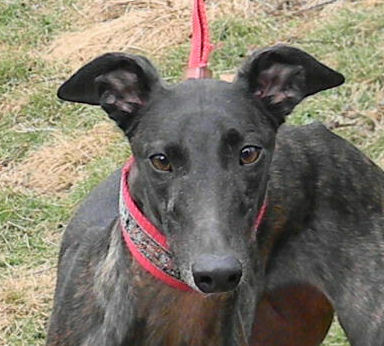 Although she was a decent performer, for whatever reason, she was raced less than a couple dozen times before she was retired at a young age. She is outgoing, active and personable.